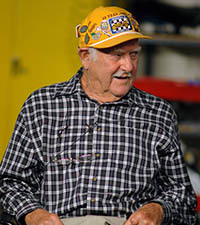 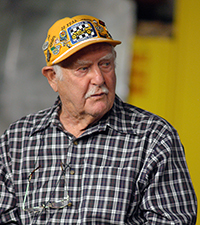 SEMA Hall of Fame - Louis Senter, 1978, Senter Engineering Corp..
Lou got his start by building and modifying engines for midgets and other forms of oval-track racing, and he started a mail-order business in 1945. 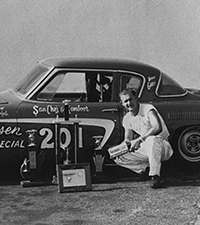 He has always been regarded as the “racer’s racer,” known for his inventive spirit and overall love of cars. 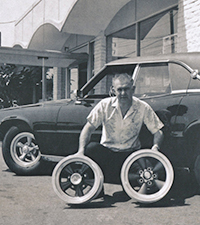 He was the founder of Ansen Automotive and, later, the Senter Wheel Company. 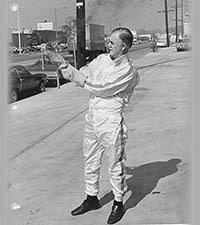 In 1963, Lou, along with other manufacturers, formed SEMA. 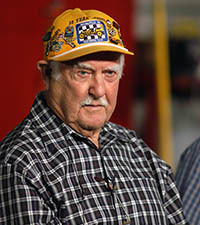 He was named to the Hot Rod magazine Hall of Fame, received a Western Racing Association Award in 1997 for his significant and dedicated contributions to racing, and was named to the Dry Lakes Hall of Fame in 1999.